Protecting a budding company is an important job for entrepreneurs and investors alike. In addition to securing capital and building brand awareness, all invested parties should be concerned with protecting a startup’s valuable intellectual property (IP), or the business may never get off the ground. 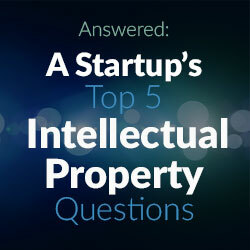 The following are answers to five common IP questions from entrepreneurs. When is the right time to consider IP protection? The sooner the better! There is a misconception protecting IP can be expensive, time consuming and unnecessary. However, at the end of the day, a company’s most important asset may be its IP and, if unprotected, the business can be put at risk. There are generally four types of IP assets: patents, trademarks, copyrights and trade secrets. Patents protect utility functions of a good/service, trademarks protect the brand, copyrights protect an expression of an idea (including art, music, software codes etc. ), and trade secrets protect all things unique and valuable to the company. In order to protect your innovative company and/or product from the start, there are simple and effective legal tactics that go hand in hand with business goals. Companies may not need to have all IP assets protected from the get-go, but a startup should consider filing for a trademark application on its main brand and a provisional patent application to protect goods and services, assuming there is something novel in the offering. It is also important to do thorough research before filing. If overlooked, a company may inadvertently replicate protected IP. Rather than viewing IP protection as an item on a to-do list, a thorough IP portfolio should serve a strategic purpose. Your company should set short-term goals and a long-term plan for its portfolio, and timing is everything. A plan should be conceived before any IP is made public or even available to third-party vendors. Does spending money on all types of IP protection so early really do anything? The short answer is ‘yes.’ The longer answer is more detailed, and outlines several ways in which startups benefit from IP at the onset. With patents, timing is essential. In the United States, once you disclose an invention, you have one year to file a provisional patent application. Additionally, under the America Invents Act (AIA), the United States operates on a “first to file” system, versus “first to invent.” If you show your invention to another individual who files a patent application using your concept, there isn’t much you can do. Likewise, even with non-disclosure agreements in place, if you take an invention to a large company with extensive resources, you likely won’t be able to afford a legal fight when your ideas are stolen. It is important to consider two factors when building your brand and registering a trademark. First, make sure the logo you are using to build your brand, goods or services is not already registered by another party. Second, trademark protection occurs with use; however, this does not provide protection everywhere. Unless you register your trademark, your ability to keep others from using it will only extend so far as your geographic location. As a startup trying to build awareness of a brand, this can hinder growth down the line. With respect to copyrights, you want to keep people from infringing upon the unique works that represent the character of your brand, goods or services. Many documents have copyright protection such as catalogs, codes, manuscripts, training videos, etc. To file a copyright infringement suit or to even send an effective cease and desist letter, you need to have a registered copyright. Client lists, data, financial information, formulas, research notes and prototypes can be considered trade secrets but you must have a policy of protection in advance of a trade secret claim. Companies should lay the foundation at the startup stage to ensure that its IP will be protected. This is a necessity – not a luxury item. Oftentimes, early employees will leave and take things with them, and it can be difficult to protect trade secrets without proper procedures in place from the start. Are joint ventures a good way to break into a larger market and expand development? Joint ventures do allow startups to develop more quickly where cost and access to resources could be a roadblock to building your business. However, when more entities become involved in the development of ideas and products, the understanding of ownership can become confusing or hinder a startup’s mission and goals. When engaging in a joint venture, pay extra attention to the agreements being drafted and specify ownership of developed IP. The distinction between jointly-created IP and that created in-house needs to be defined before the parties start working together. Beyond ownership, how companies will utilize IP is also important to distinguish. In a binding agreement, startups should lay out what to do with new IP that is not quite within the umbrella of the joint venture, but similar. Does working a day job have any impact on a venture’s IP? As a startup, it is important not to moonlight. Do not use the resources of your day job to work on your own venture, unless you receive clear written permission from leadership. In Mattel Inc. v. MGA Entertainment Inc. (MGA), Carter Bryant created the Bratz dolls marketed by MGA. In 2005, MGA alleged that Mattel’s “My Scene” Barbies copied the distinct physique of the Bratz dolls. However, Mattel returned with its own claims and accused Bryant of designing the doll when he was an employee of Mattel. Mattel had a contract in place that stipulated his designs were the property of the Barbie manufacturer. The result was a ruling in favor of Mattel, whereby MGA was forced to pay $100 million and remove Bratz dolls from shelves for approximately a year. Is it possible to unintentionally infringe upon a copyright? How can this be avoided? While there are exceptions that allow one to use copyrighted work under “fair use,” even a valid argument in this direction could be costly. S. Victor Whitmill v. Warner Bros. Entertainment Inc. involved the film The Hangover Part II in which a character woke up with a tribal tattoo wrapped around his left eye. The tattoo design used in the film happened to be a copyrighted creation designed by tattoo artist, Whitmill. As the owner of the design, Whitmill alleged that the use of the tattoo in the film and advertisements infringed upon his copyright, though Warner Bros. Entertainment claimed “fair use.” The case came to a close when the company and Whitmill settled for undisclosed terms. For a startup, it is important to be aware of the origin of all images you are using in presentations and to market your product or service. If you use the services of an artist, clearly state the ownership rights in your agreement, especially if the artist is an independent contractor. While this may seem like a given, be sure to put everything in writing. This includes writing follow-up emails after phone conversations where appropriate so there is a record of oral understandings or changes to artwork or plans. One of the most important things you can do to ensure an investment is successful is to protect it from someone seeking to turn a profit from your innovative idea. Meeting with an experienced IP attorney will provide you with the resources necessary to guarantee all aspects of your IP will remain your own. 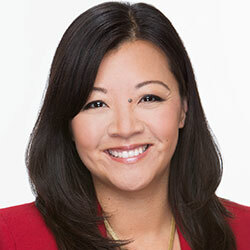 Mei Tsang is managing partner of Fish & Tsang LLP, an award-winning intellectual property law firm with offices in Orange County and Silicon Valley. For more than a decade, Tsang has served as a zealous advocate for her clients, guiding and protecting them through the prosecution, litigation and enforcement of their IP. She pioneered the firm’s three-step IP strategy: identify, procure and shepherd – a process which helps clients approach, manage and monetize their IP in the United States and abroad. For more information, visit www.fishiplaw.com or call 949-943-8300. 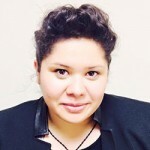 Brittany is a summer associate at Fish &Tsang LLP in the firm’s Orange County office. Nobles leverages considerable creative and strategic legal research skills to provide meaningful support for Fish &Tsang attorneys, primarily in litigation and transactional matters. I appreciate all of the information in your post. It is well written and easy to understand and I liked that you put in a lot of examples. I do think that the best way to make sure startups don’t infringe on anyone’s IP is to make sure they know where everything they are using comes from. This will keep the company on its toes and I think much less likely to infringe on anyone’s rights. However, I am still baffled that “The Hangover Part II” accidentally used a copyrighted tattoo. I would think that they would be good at checking things like that, and if they can make a mistake I guess anyone can.